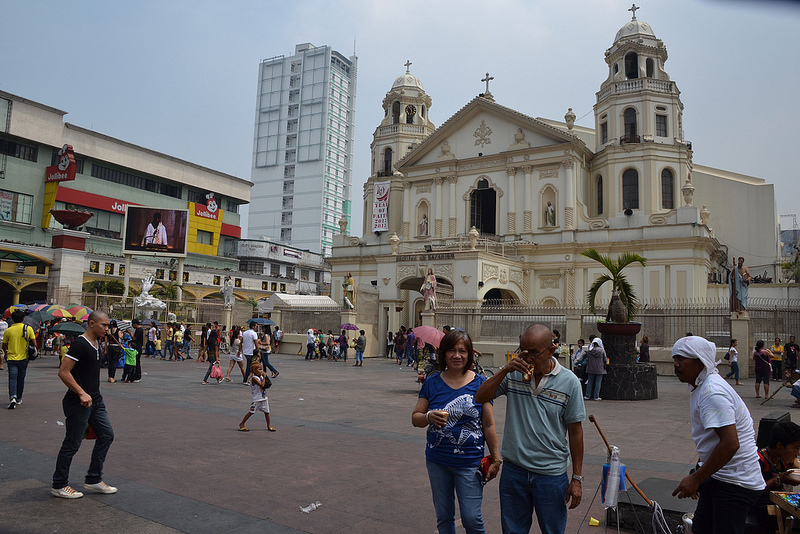 Plaza Miranda, just outside Quiapo Church, turns into a popular destination during Holy Week, not just for devotees but also for people who want to find and buy anting-anting. The Minor Basilica of the Black Nazarene--more commonly known as Quiapo Church--has been a symbol of Filipino religiosity and faith for hundreds of years. After four centuries, a couple of war, natural calamities, and political turmoils, it remains firm on its ground until this day. Now, as one walks along the busy streets around this religious edifice, it is clear that the area has evolved to be more than just a center for religious worship; it has also been serving as a center for trade. Ironically, during weekends and holidays, Plaza Miranda transforms into a sea of people, some more interested in doing a bit of bargain shopping than offering prayers. Other than costume jewelries and religious artifacts, more unusual things can be found and purchased in this corner of Manila---merchandise that may rarely be seen anywhere else in the city. One of those is anting-anting. 'Laura' (not hear real name), a middle-aged amulet vendor in Plaza Miranda, explains how the sale of some of these unusual items soars during Holy Week. "Business is better around this area during religious holidays simply because there are more people," she discloses. "However, business is particularly good for those of us selling anting-anting." Anting-antings are amulets that are believed to carry special and supernatural powers depending on what kind you purchase and how well you 'empower' those. 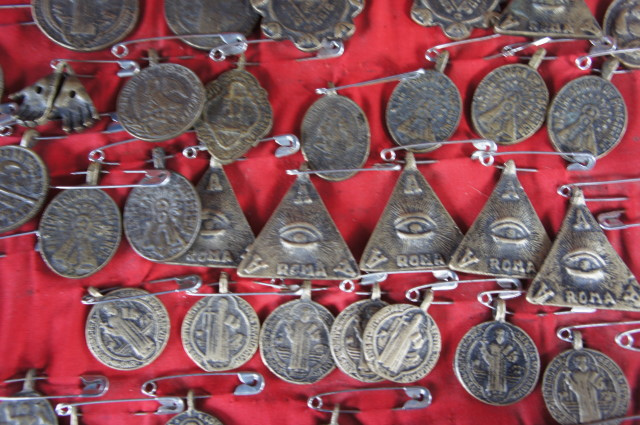 Interestingly, there is a particular type of anting-anting for every need: for passing exams, childbirth, protection from danger, love, good business, or invincibility. Holy Week also attracts folk healers who gather and showcase their amulets' power in the middle of the plaza. "Holy Week is believed to be the best time to recharge your anting-anting. Antingeros (talisman aficionados) even go to Mt. Banahaw (believed to be a sacred mountain) on Good Friday to empower it there themselves. That is also one reason why they sell so well this season," Laura revealed. Believers of anting-anting claim that the best time to recharge the spiritual energy of their talisman is during the night of Good Friday. Different groups also identify their own special places for 'recharging' their amulets: cemeteries, mountain tops, churches, etc. Recharging of anting-anting is usually done through repeatedly chanting Latin incantations (copies of which may also be bought) while holding the talisman. Anting-antings sold in Plaza Miranda take price tags that range from as low as P50 to as high as P500. Vendors usually claim that the expensive amulets are partly made of precious materials from Mt. Banahaw. Much more expensive and non-commercial, anting-antings are also sold by antingeros but only to select people. Logically, an anting-anting that is said to have already proven its powers to its previous owner or is made of precious materials like gold can cost a fortune. Whether or not you believe in this item, anting- anting remains to be an integral part of the Filipino culture that dates back to pre-colonial times. Because of the religious integration, the Church has (ironically and logically) already made statements against the serious use of the talismans both for the safety of the public and the protection of the Catholic doctrine.